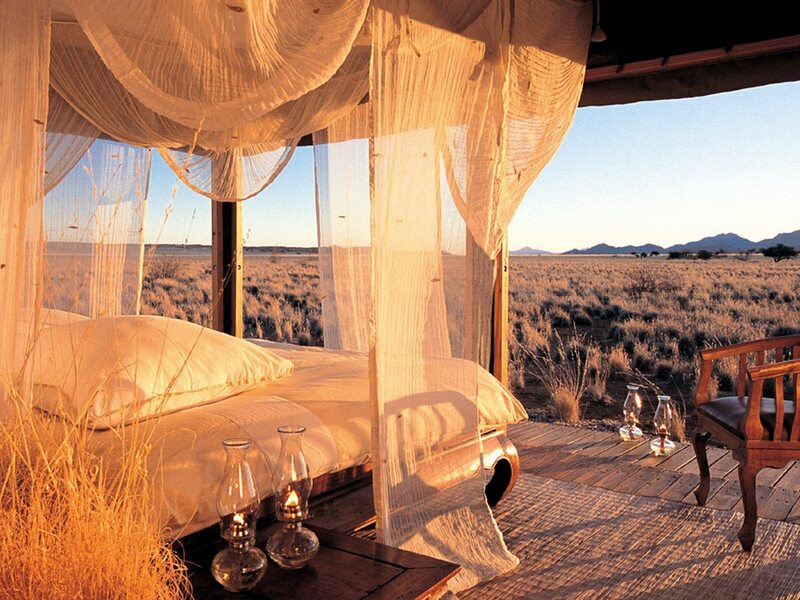 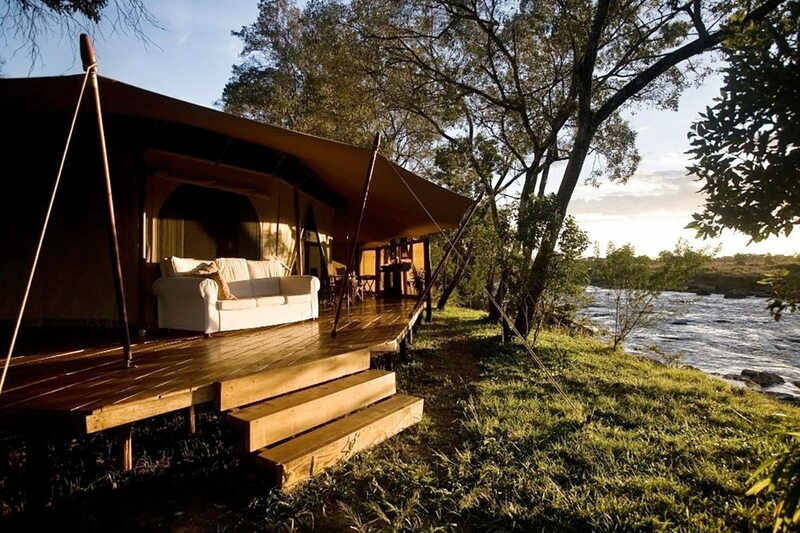 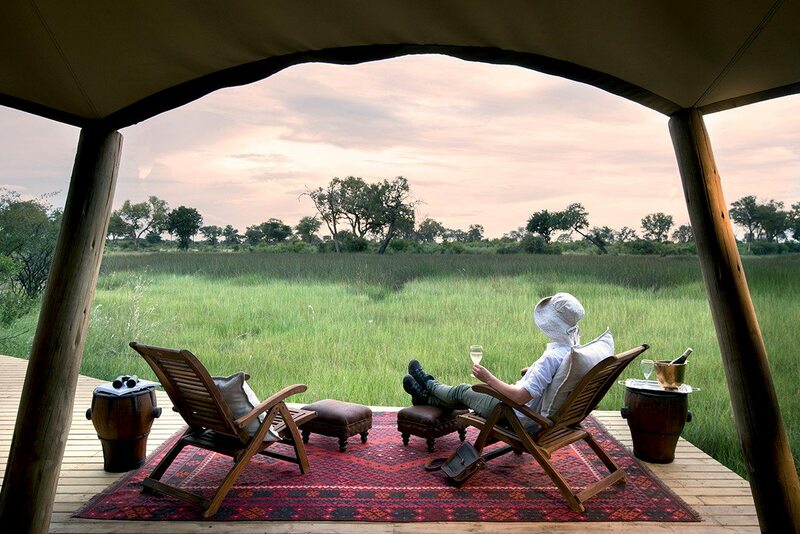 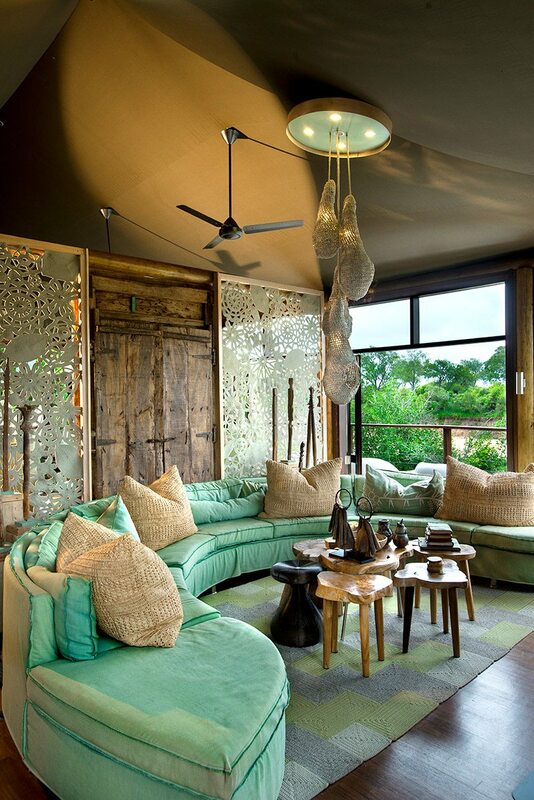 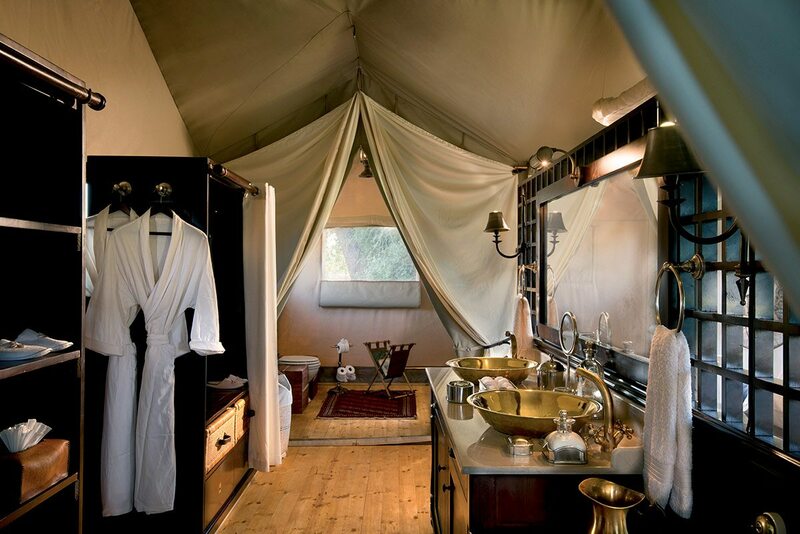 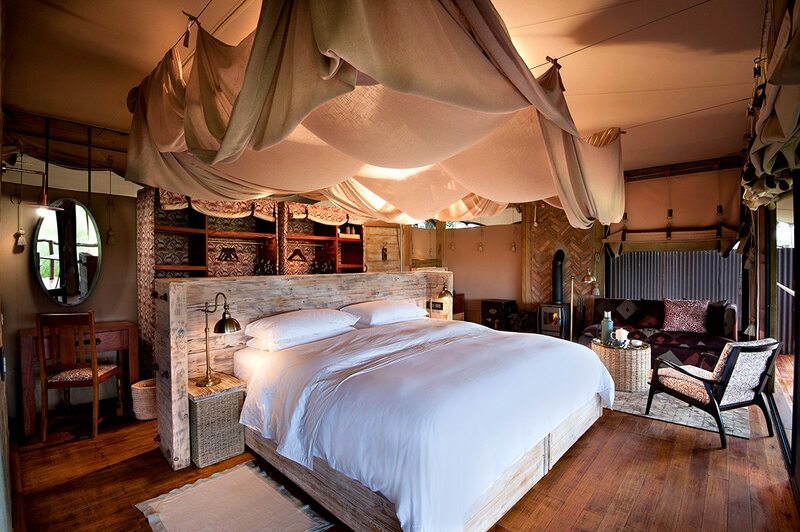 We’re not sure who invented glamping, but we’re pretty sure that the African-safari industry perfected it. 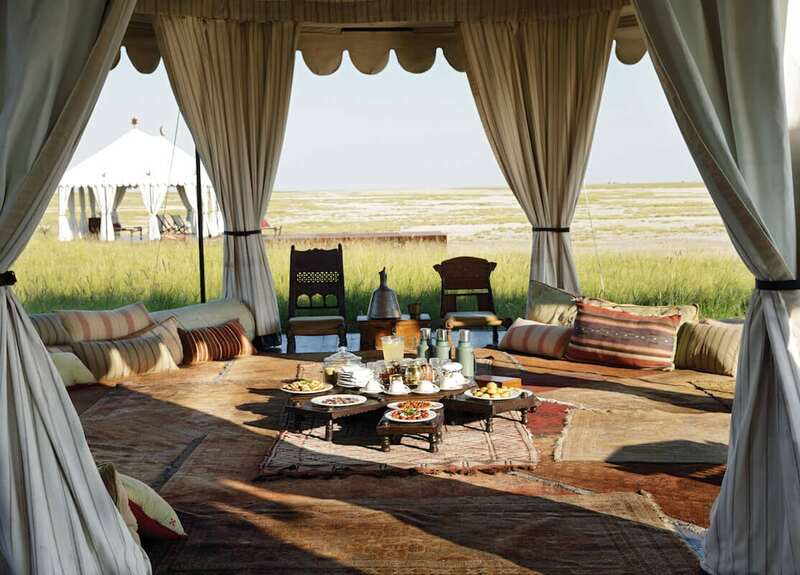 People have been camping in Africa’s wilderness for centuries, but the more recent combination of the ‘under canvas’ experience with cutting-edge interior design, top-quality service, exceptional cuisine and breathtaking locations has elevated luxury tented safaris to a veritable art form. 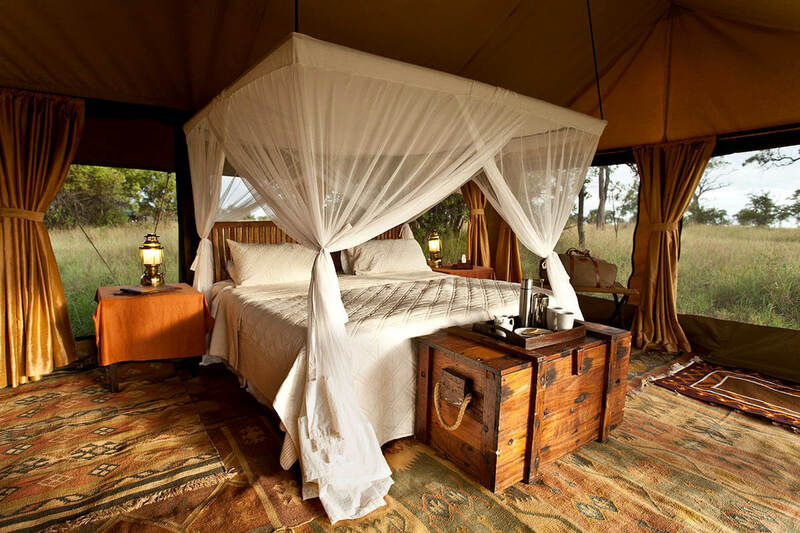 Here’s our top-10 (not necessarily in order) selection for going on safari under canvas, in style! 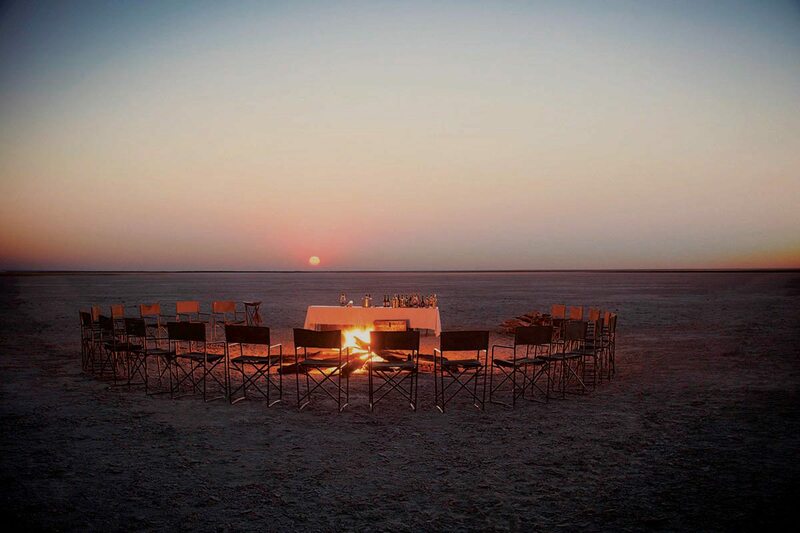 Camping is, by its very nature, impermanent. 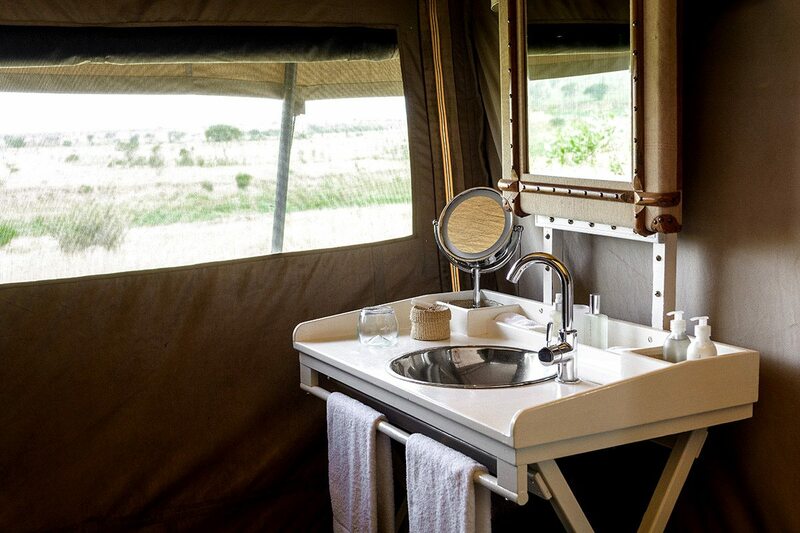 While most glamping safari lodges are fixed structures, the semi-permanent camps that follow the Great Wildebeest Migration across the Serengeti embody the essence of camping. 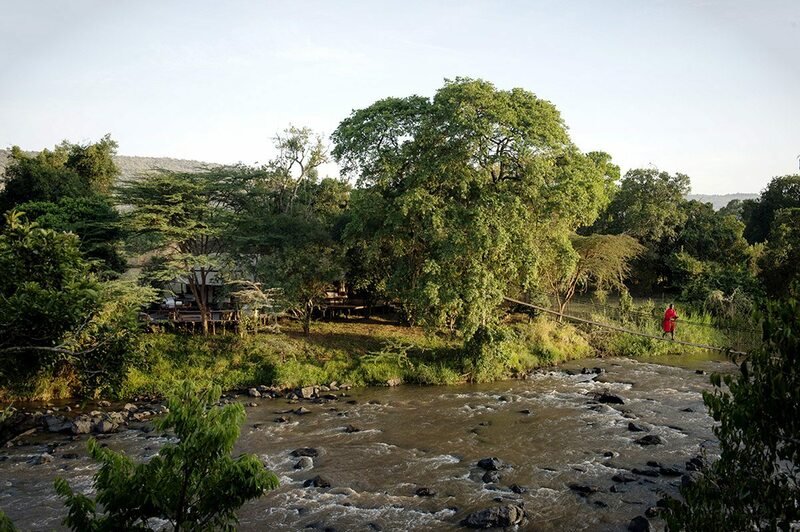 Every couple of months, the camp operators up sticks and relocate to new campsites to ensure their guests are in the best possible locations. 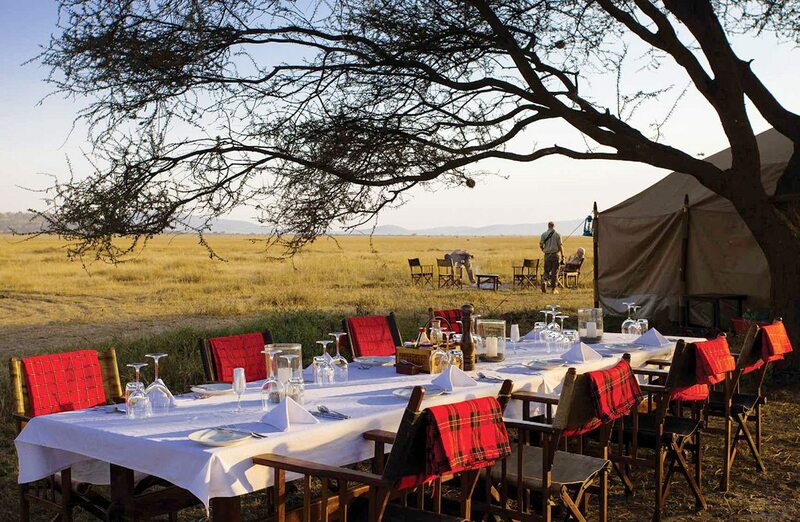 Legendary Serengeti Mobile Camp does this without any compromise on luxury, with tents that epitomise old-world elegance and charm. 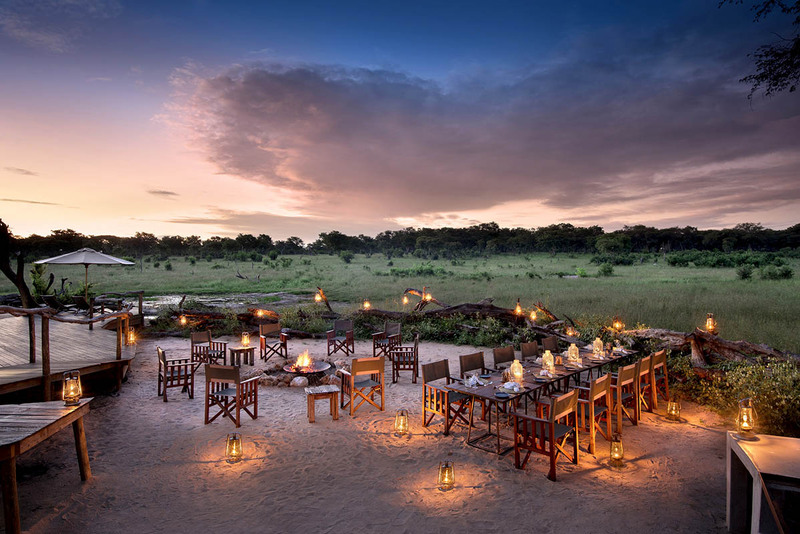 Famous for its elephant, Hwange National Park offers one of the most expectational safari experiences in Southern Africa. 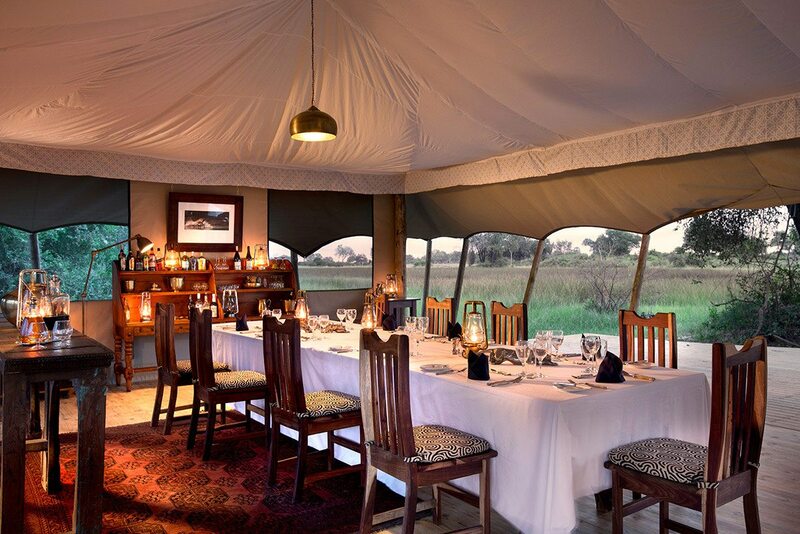 Located in the remote southeastern corner of the park, Somalisa Camp’s luxurious tents overlook a well known vlei, a seasonal grass and marsh area that’s irresistible to the local wildlife. 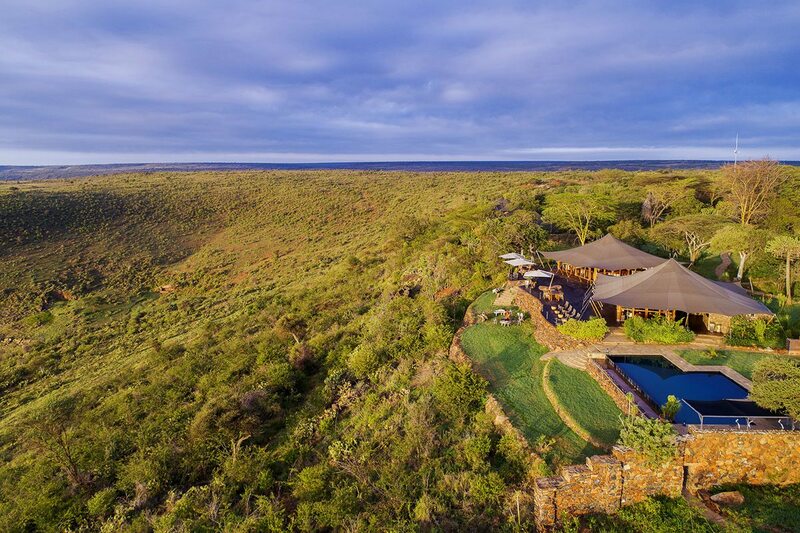 Your time can be spent out on game drives, but Somalisa’s permanent waterhole means that sometimes it’s better to stay in camp and watch the wildlife come to you. 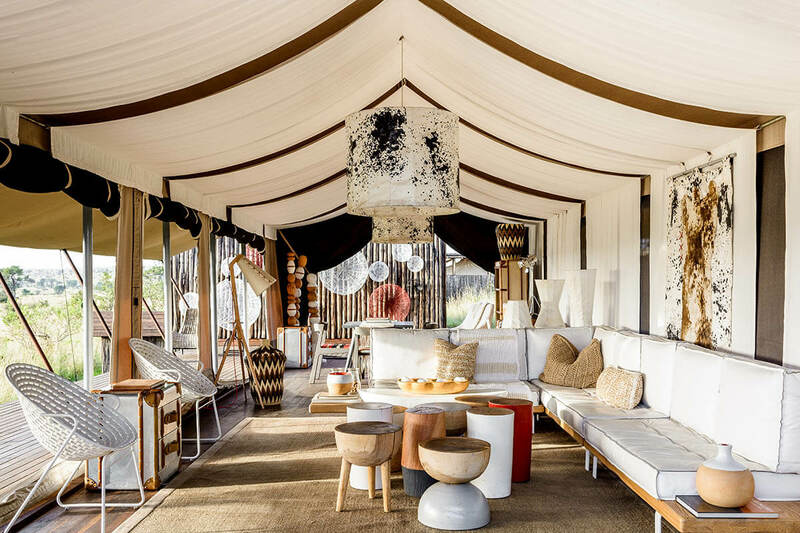 With its billowing canvas tents housing large canopied beds, silver chandeliers, candelabras, leather trunks and beautiful vintage furniture, Cottar’s 1920s Camp evokes the glamour and romance of a bygone era. 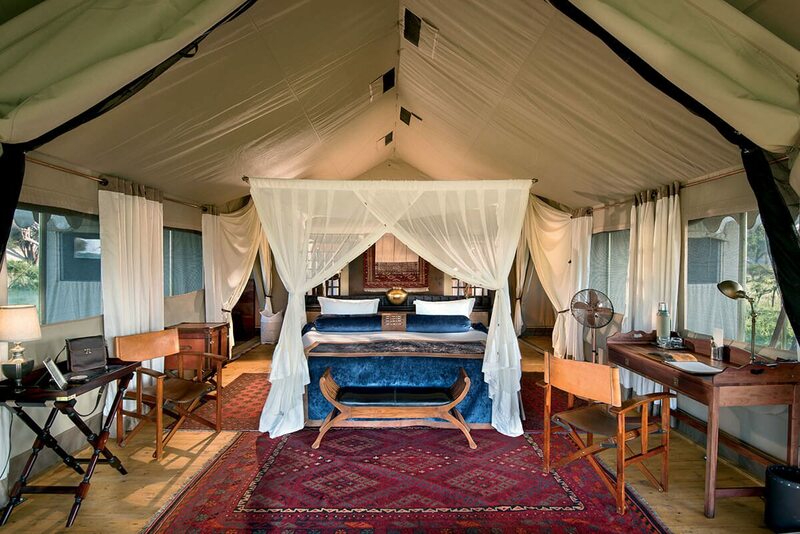 This is the epitome of glamping, in colonial style on a private concession overlooking both the Masai Mara and the Serengeti. 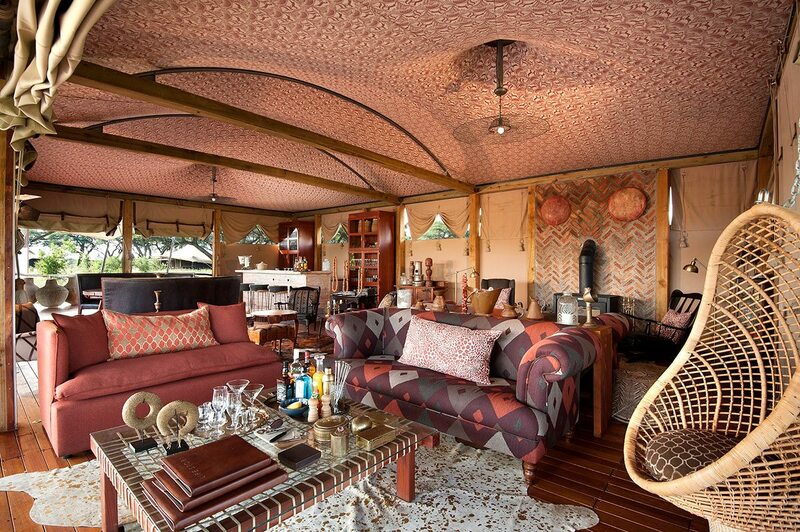 The experience comes complete with top-quality local guides, personal butlers and a trove of antique treasures, from sepia-toned safari photos to a vintage safari vehicle. 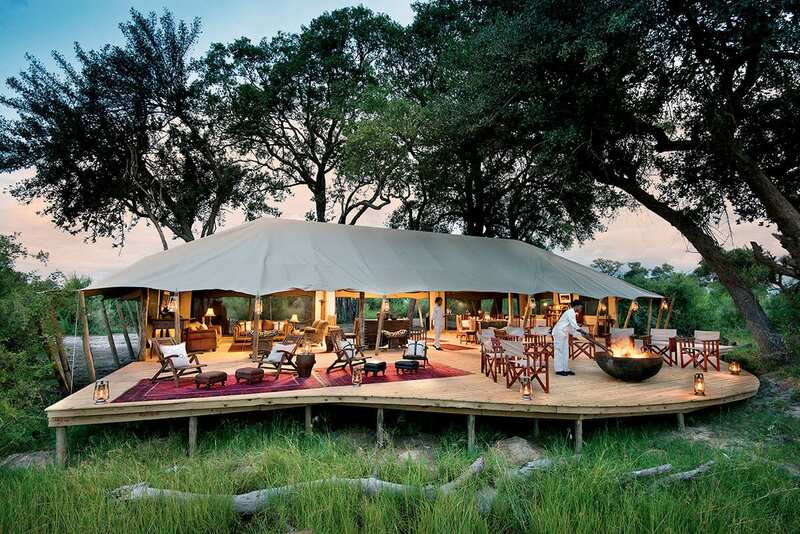 With tents huddled together in the wilderness, camping makes for an intimate experience; with just six tents on a small island in the heart of the Okavango Delta, Duba Explorers Camp embodies the true intimacy of under-canvas luxury. 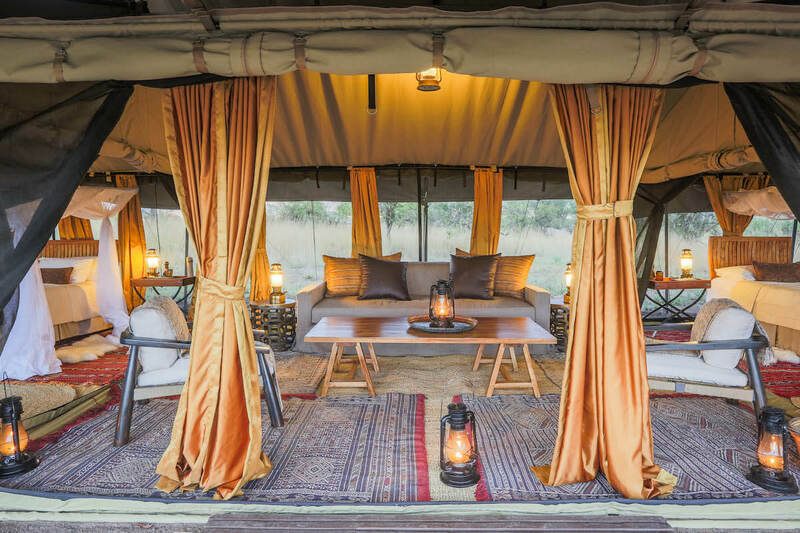 Persian carpets, soaring ceilings covered in fabric, ivory canvas walls and a king-sized bed – dressed in royal blue and draped in mosquito nets – combine to make this an unforgettable glamping experience. 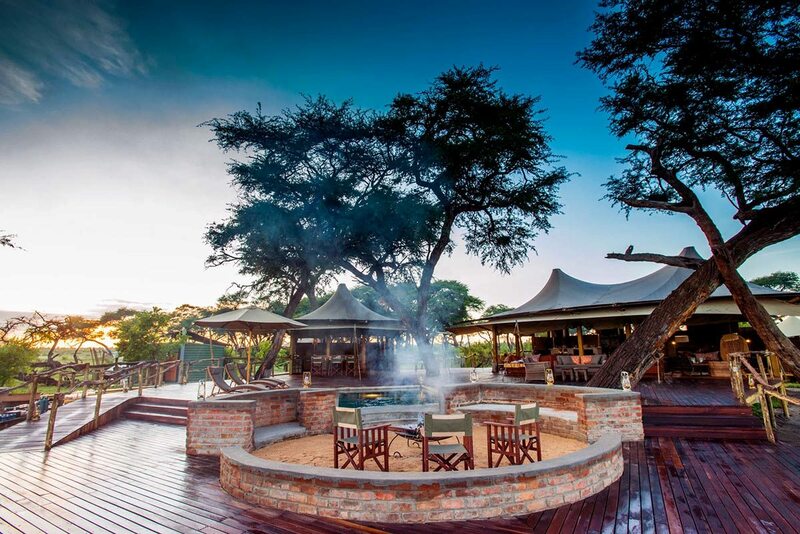 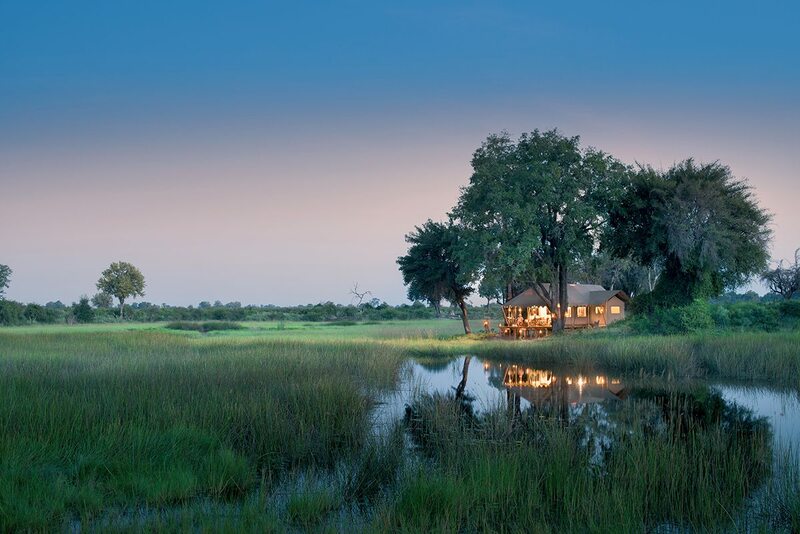 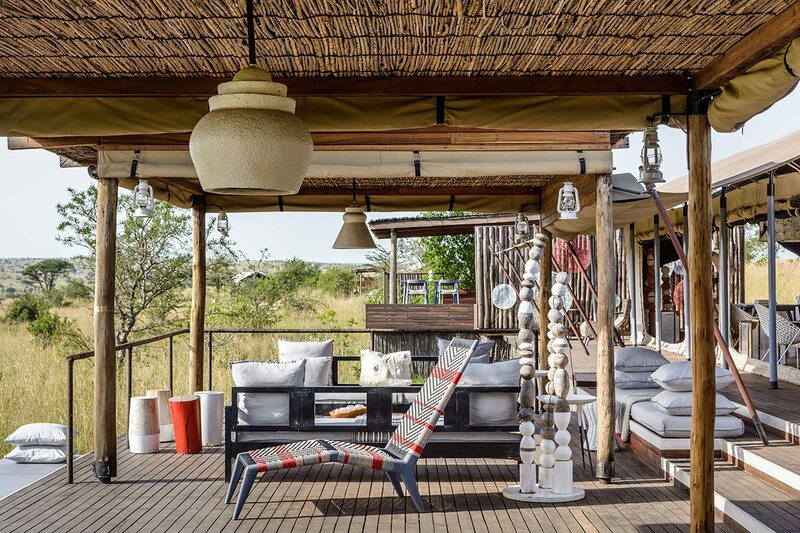 Nestled beneath a shady canopy of indigenous trees in the greater Kruger and overlooking the Timbavati River, Ngala Tented Camp is one of Africa’s original luxury tented camps. 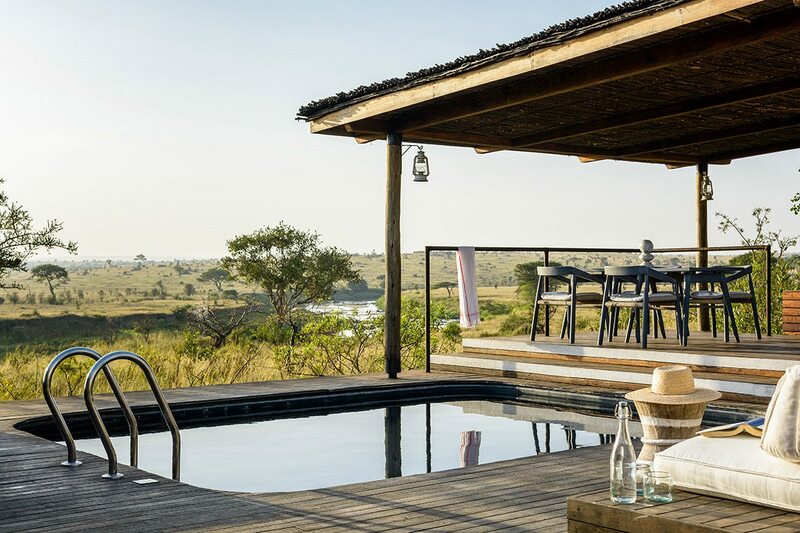 It’s been refurbished many times since it first opened, and its now-elegant and pared-down simplicity offers all the necessities for absolute comfort. 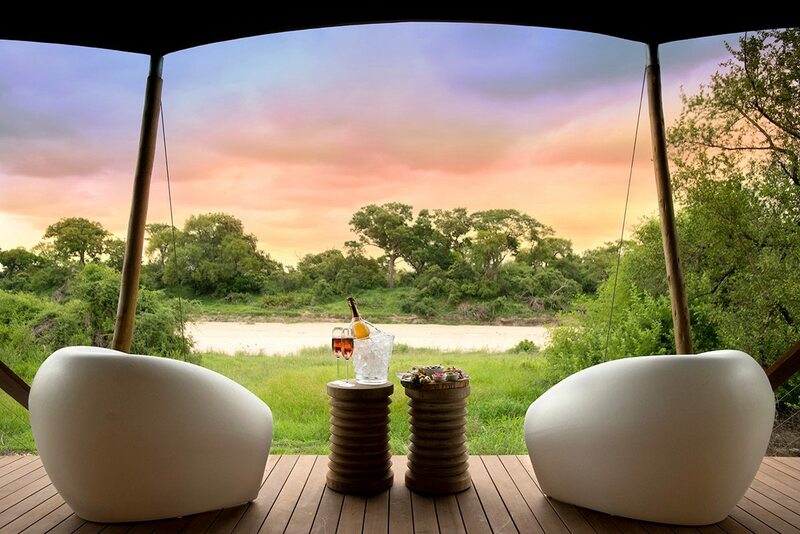 Return from an early morning safari to relax at the sinuous lap pool, or visit the massage sala for one of the many indulgent treatments on offer. 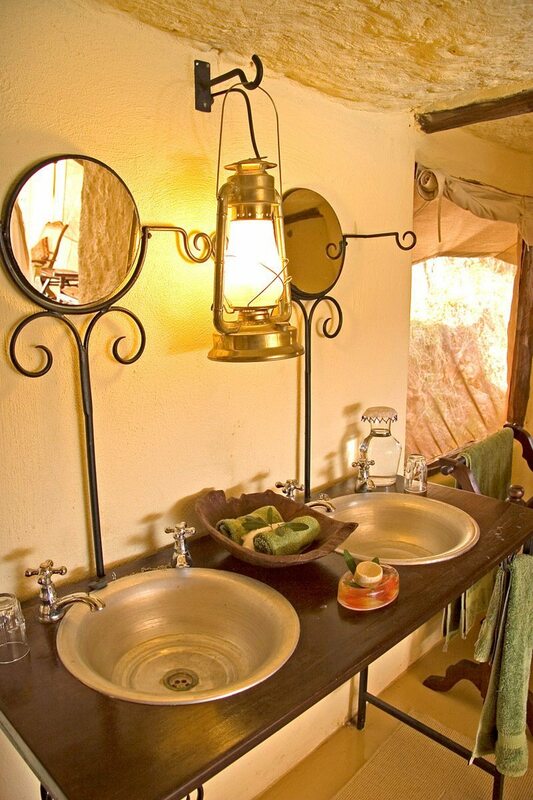 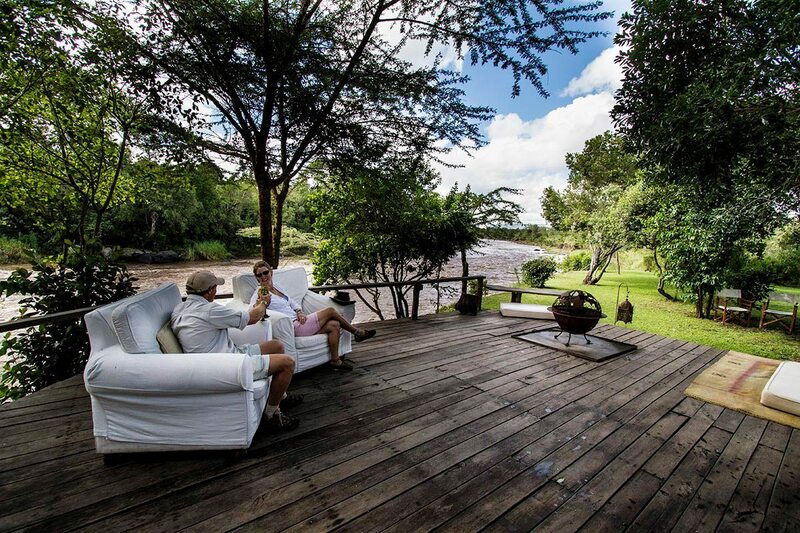 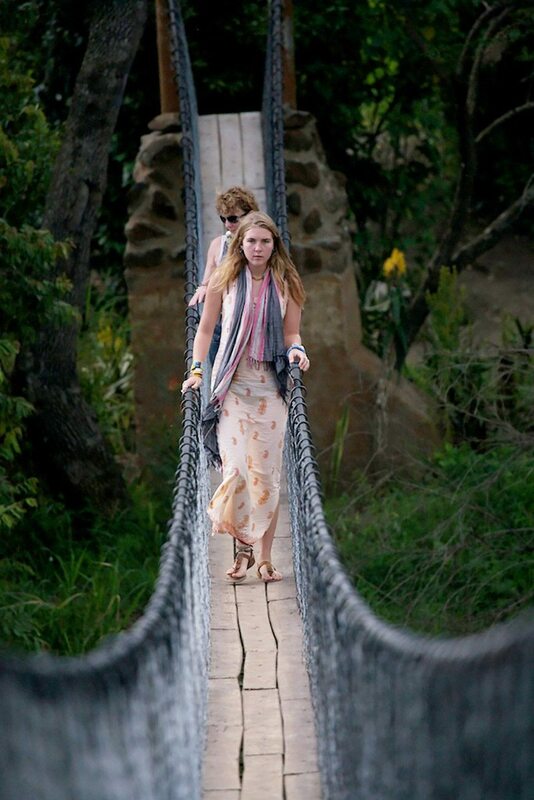 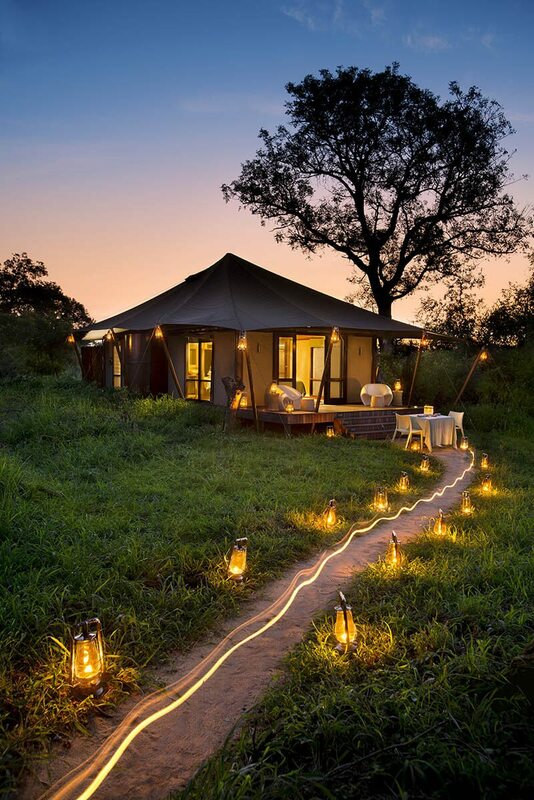 There are many reasons to love Ngare Serian, but at the top of our list are the Indiana Jones inspired walkway that has to be crossed to reach the camp and the outdoor bathtubs, sunk into the deck of the luxury tents overlooking pods of hippo in the Mara River. 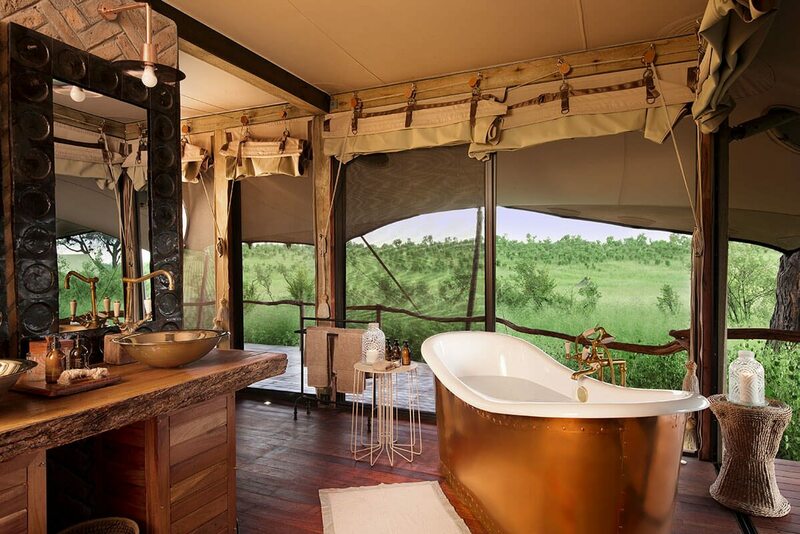 You’ll come for the abundant wildlife in the surrounding Masai Mara, but you’ll return for the relaxed elegance of this luxury tented camp… and the baths! 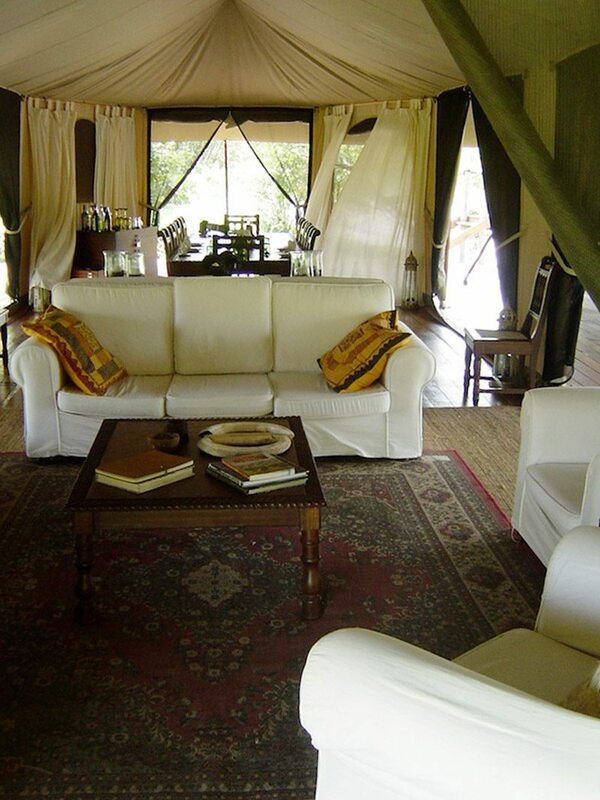 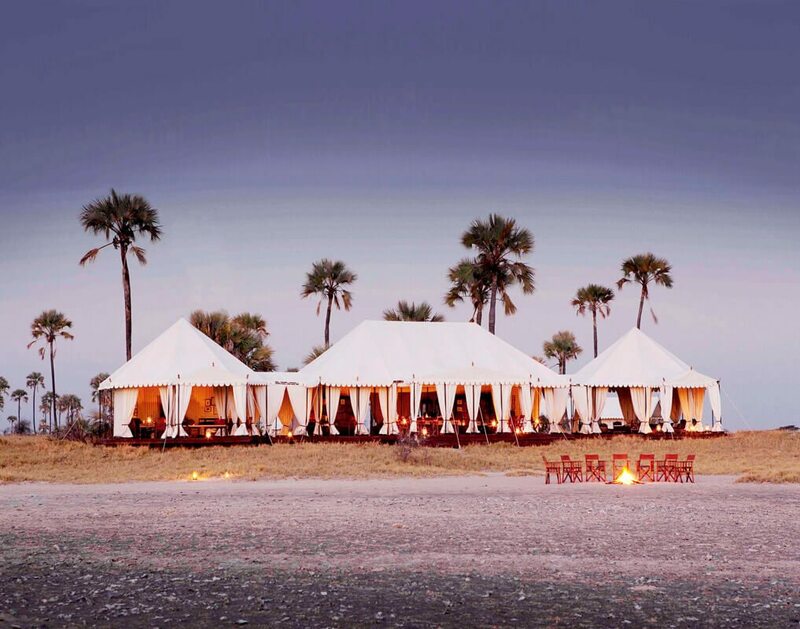 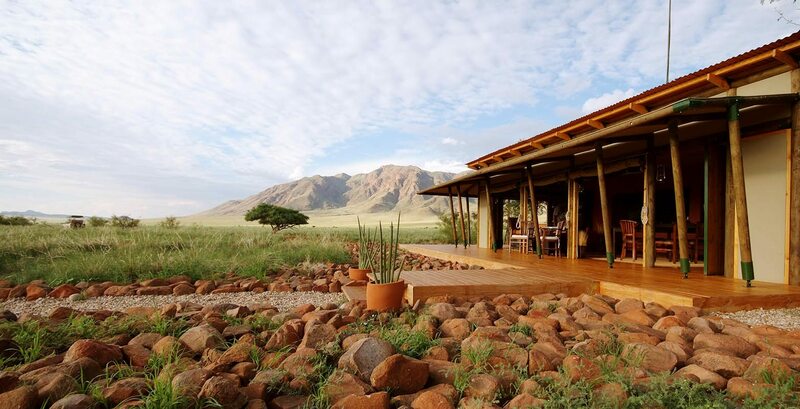 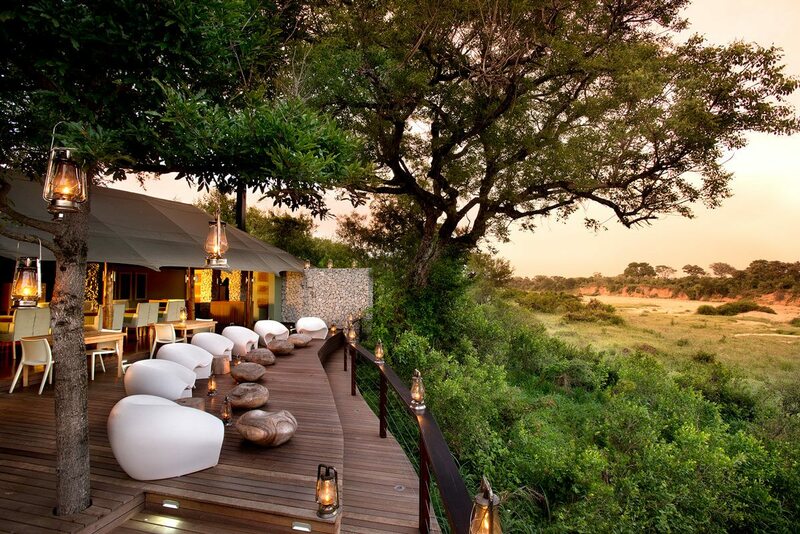 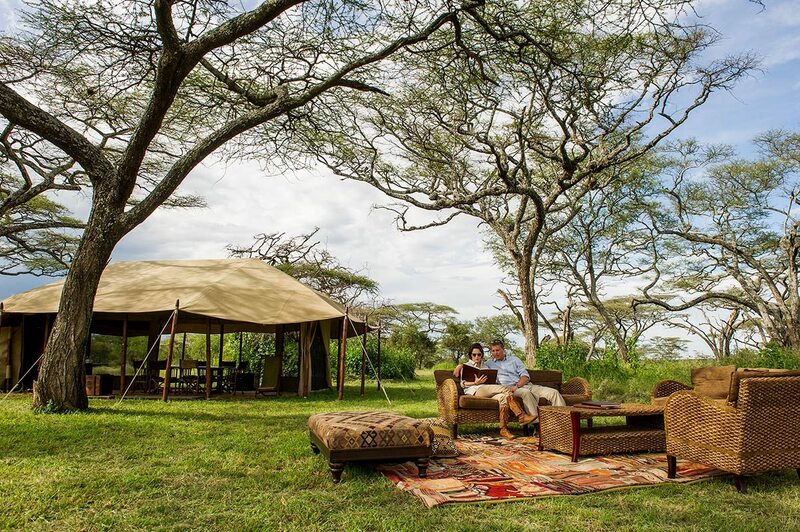 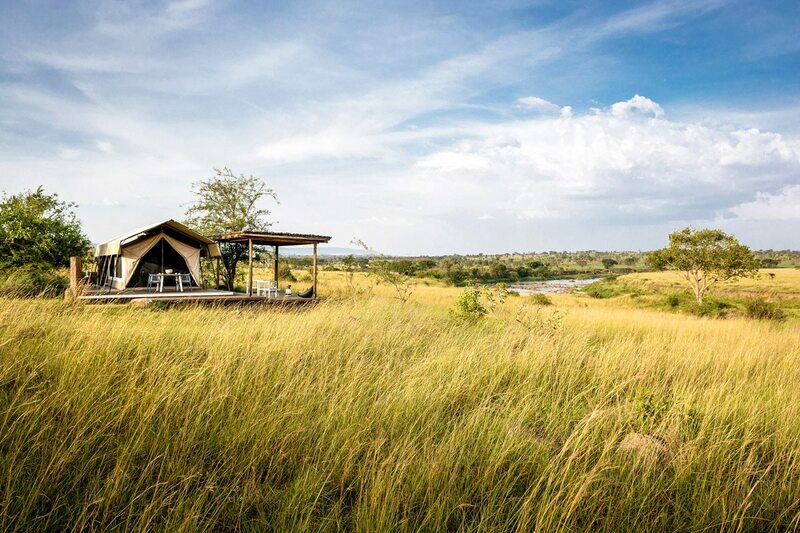 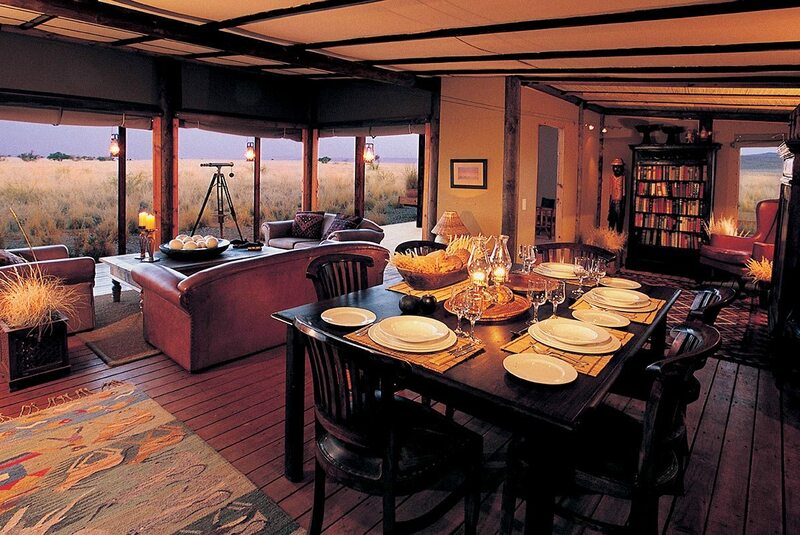 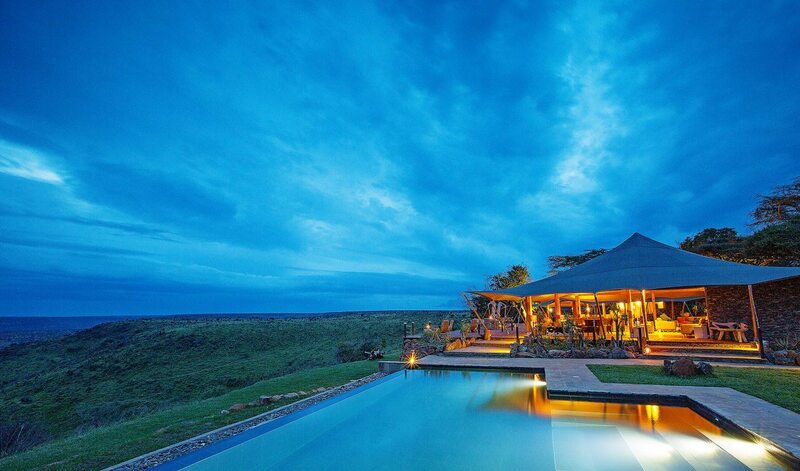 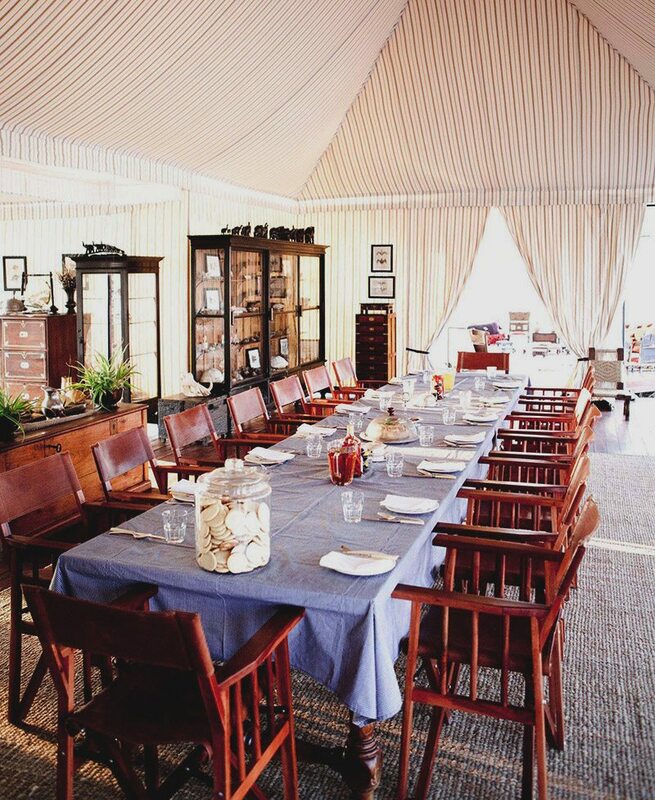 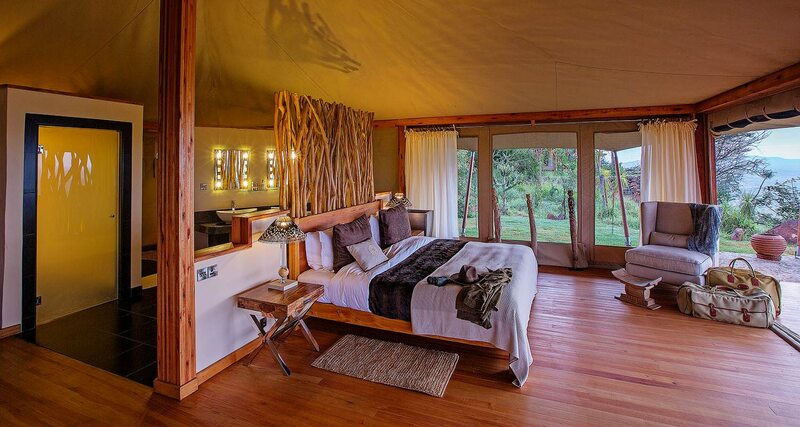 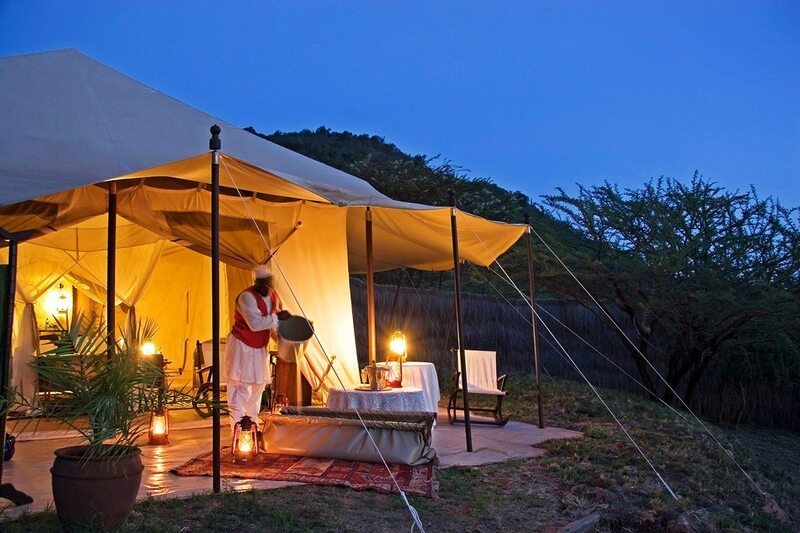 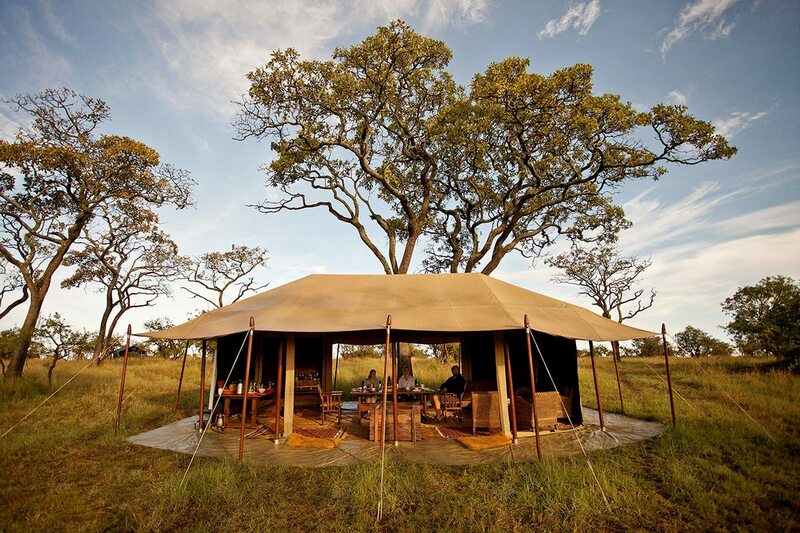 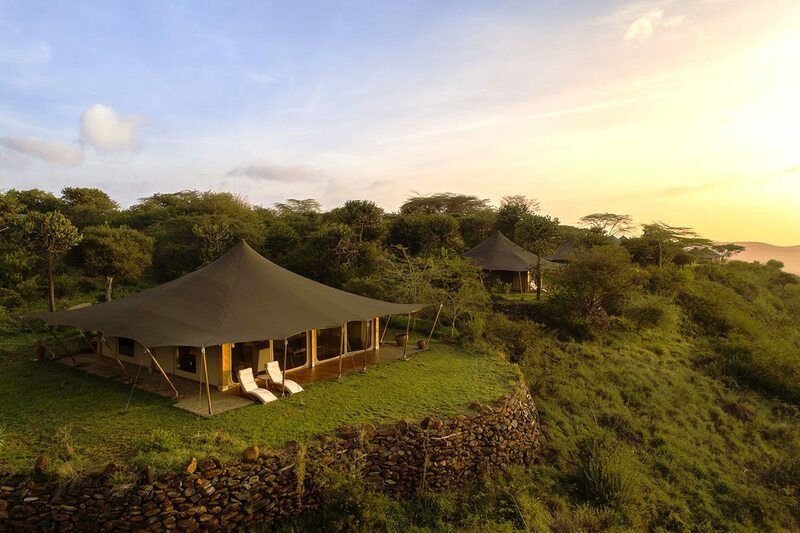 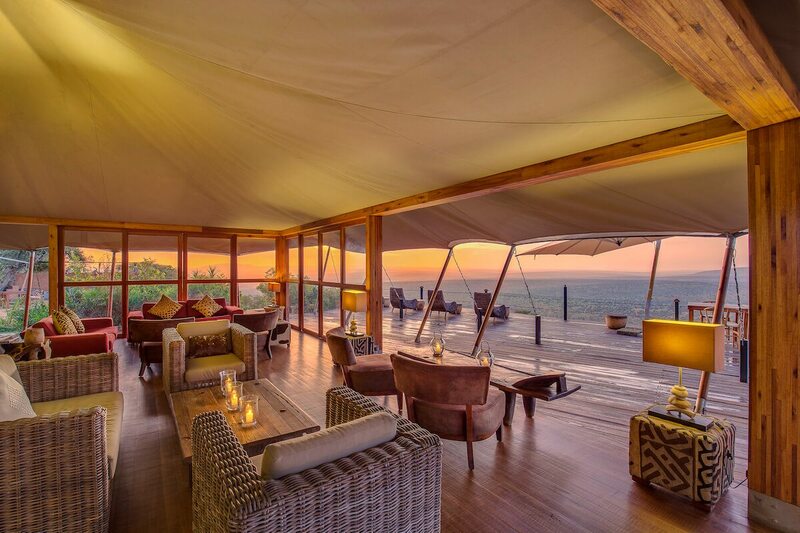 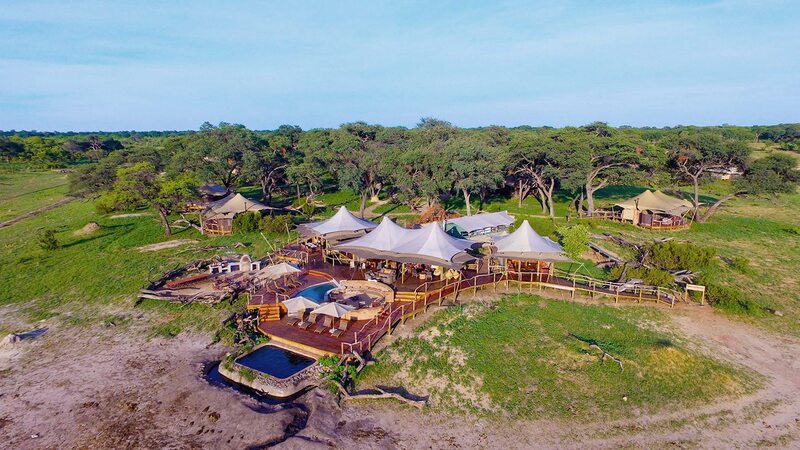 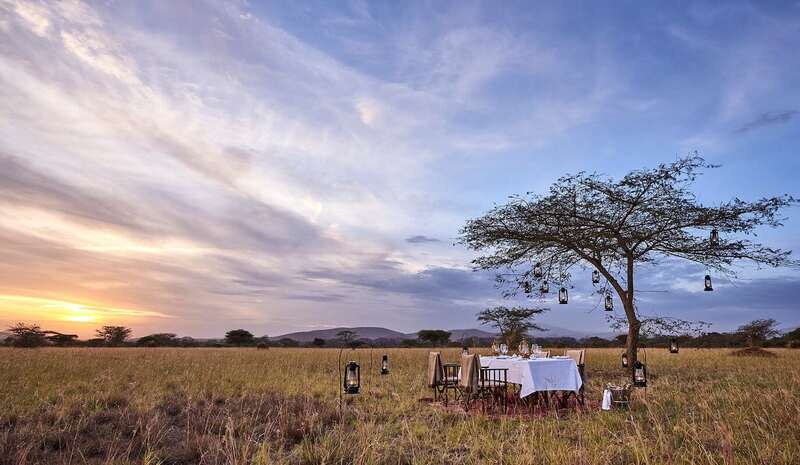 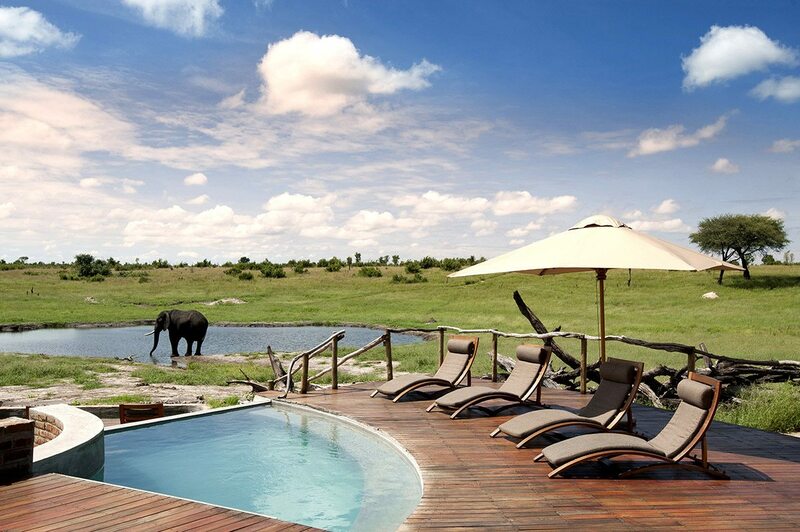 While our top-10 might not be to order, this luxury tented camp would be at the top of most lists. 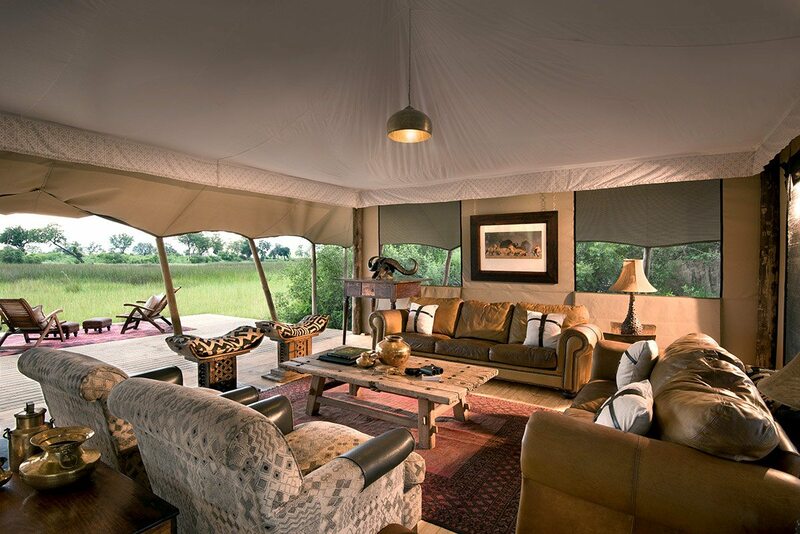 Situated on the U-bend of the Mara River in the northern Serengeti, Mara River Tented Camp is directly in the path of the Great Wildebeest Migration as it moves from the Serengeti to the Masai Mara and back again. 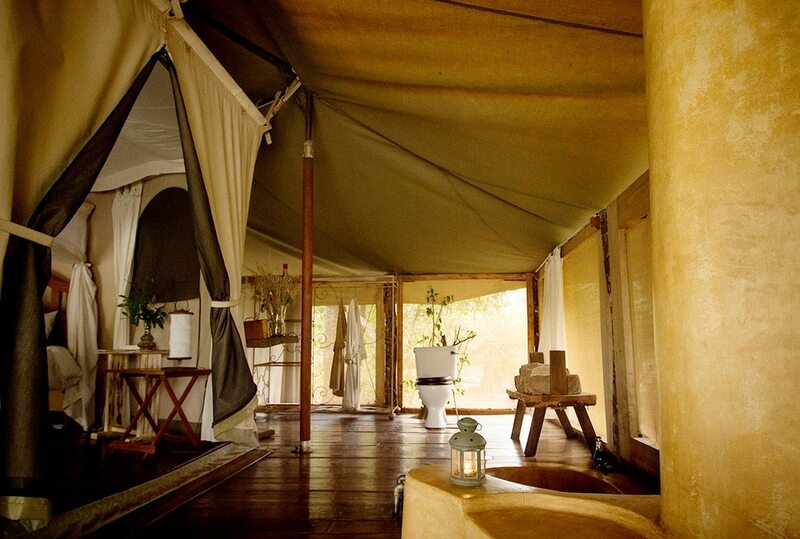 Despite being a pinnacle of glamping, this camp has been created using a wide selection of recycled and natural materials. 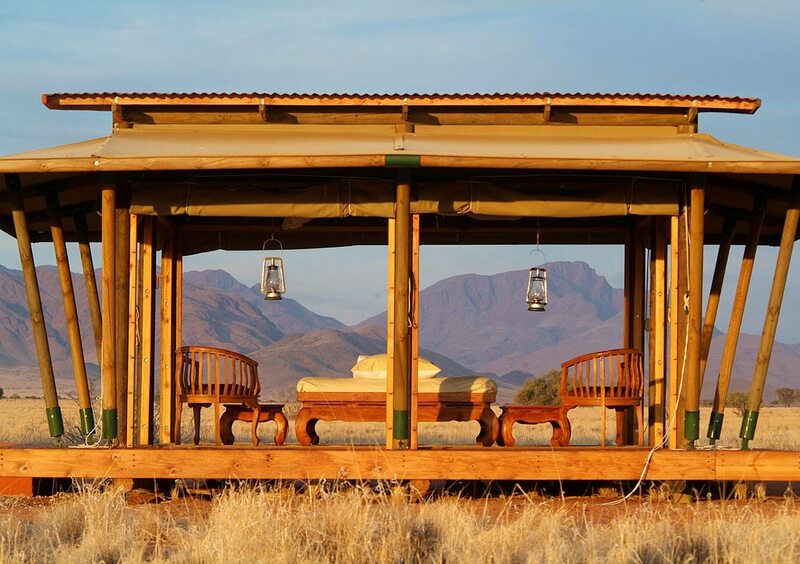 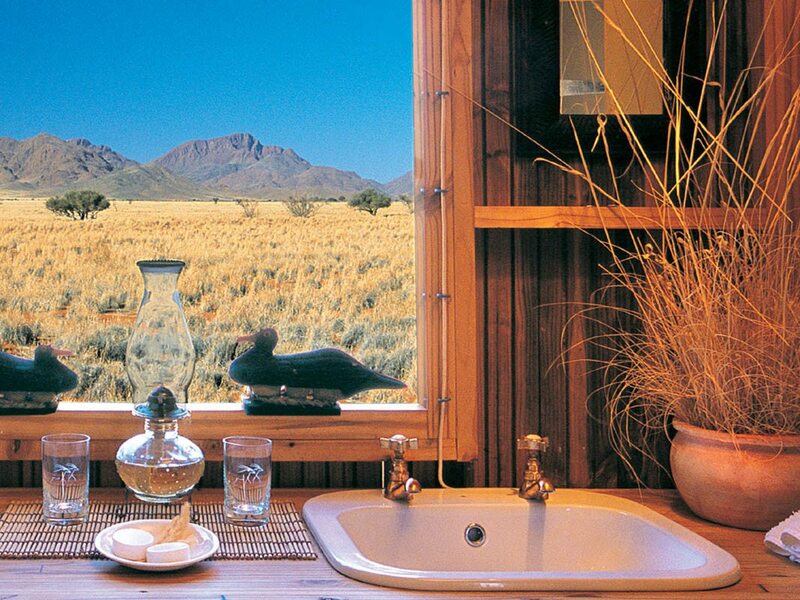 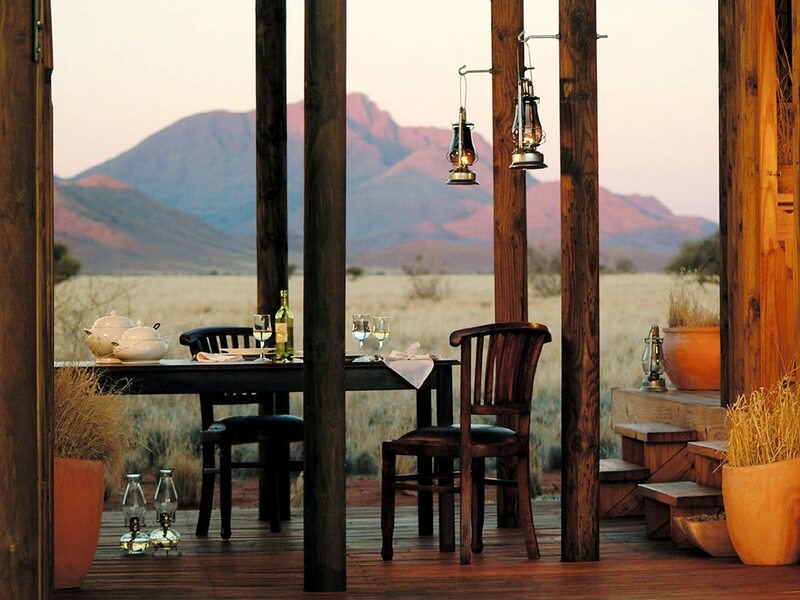 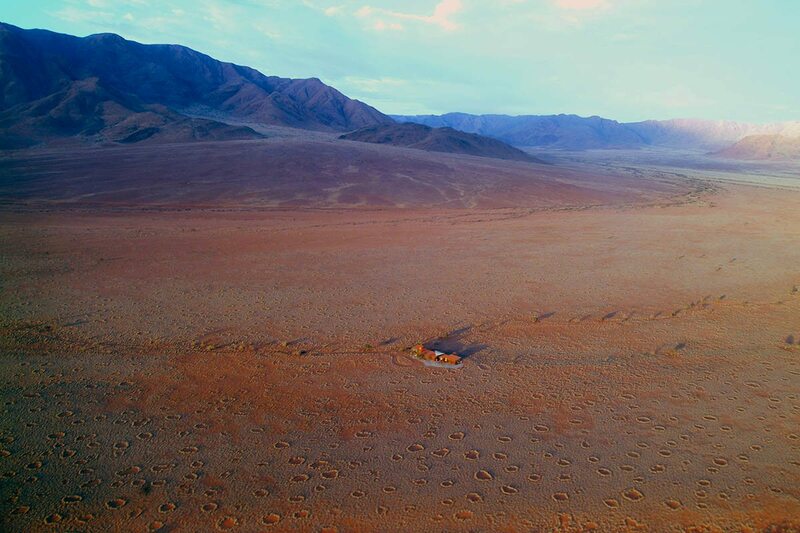 For a glamping experience off the beaten track, Wolwedans Private Camp should fit the bill. 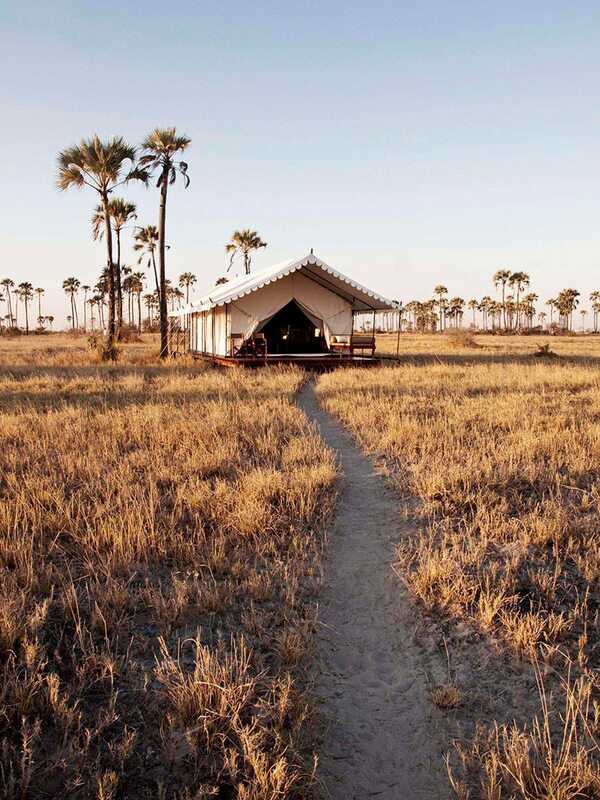 To understand the sense of remoteness, have a look at the first picture in the gallery below. 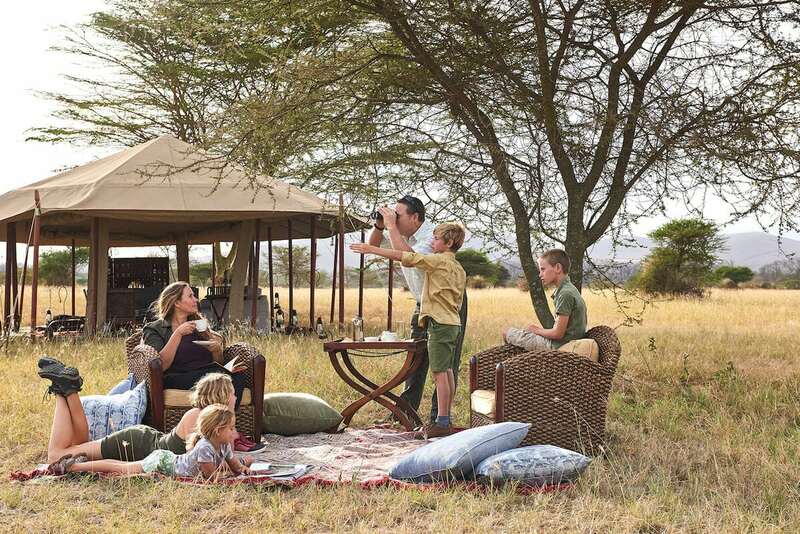 This luxury tented camp is also one of the many private safari houses and villas that are dotted across Africa, ideal for family safari holidays or small groups looking to have the place all to themselves. 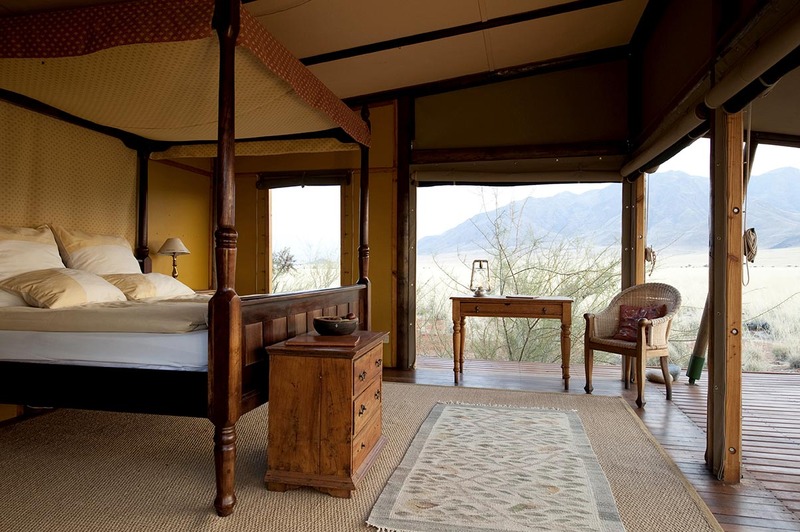 Each room is complete with a private deck from which to enjoy the panoramic desert views. 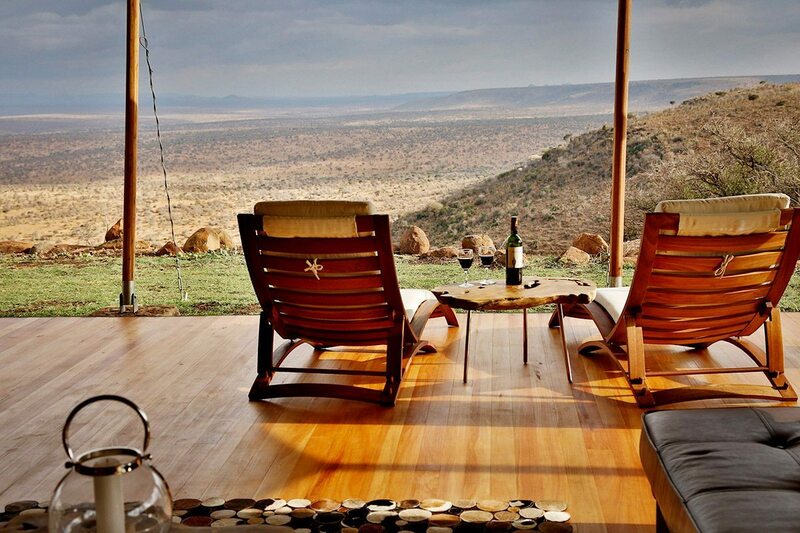 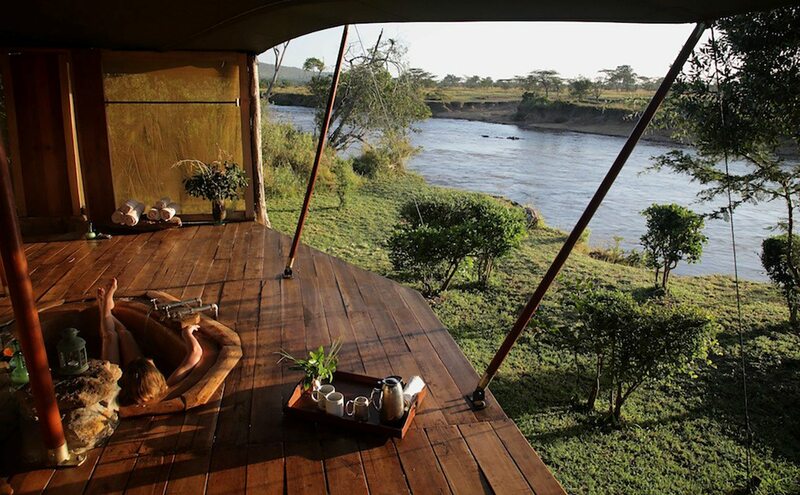 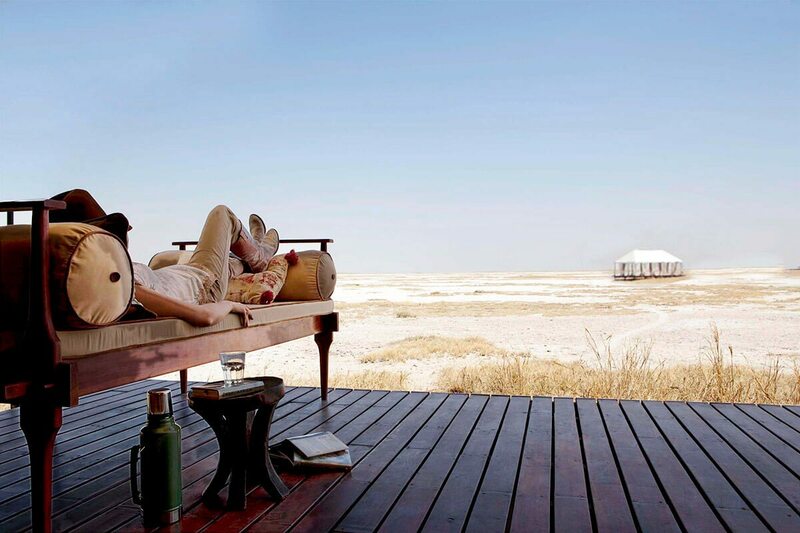 We love a tented camp with a view! 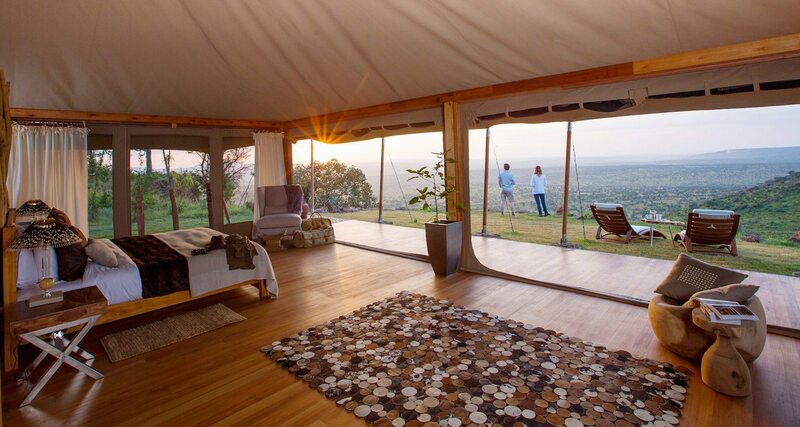 Loisaba Tented Camp is located on a hilltop overlooking one of the endlessly remote valleys of the Laikipia region in northern Kenya. 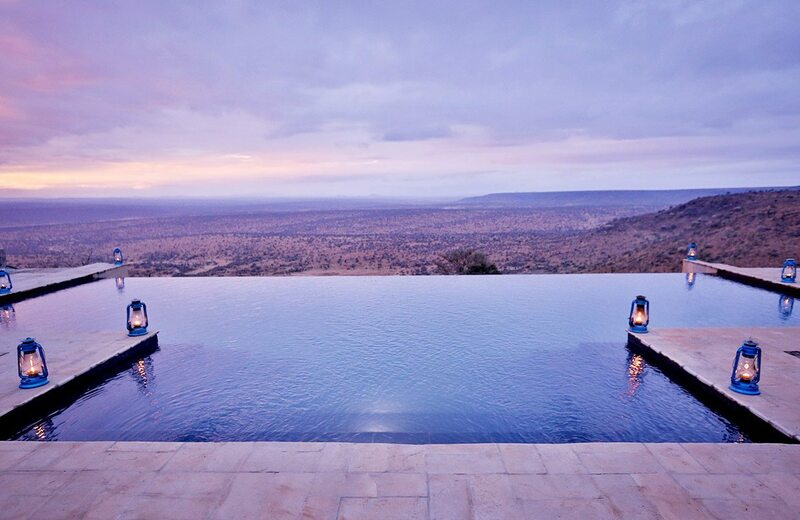 Whether relaxing in the infinity pool, lazing on the sundeck of your luxury tent with its modern, clean-lined interiors or dining al fresco, you’re guaranteed uninterrupted panoramas of pristine wilderness all the way to Mount Kenya. 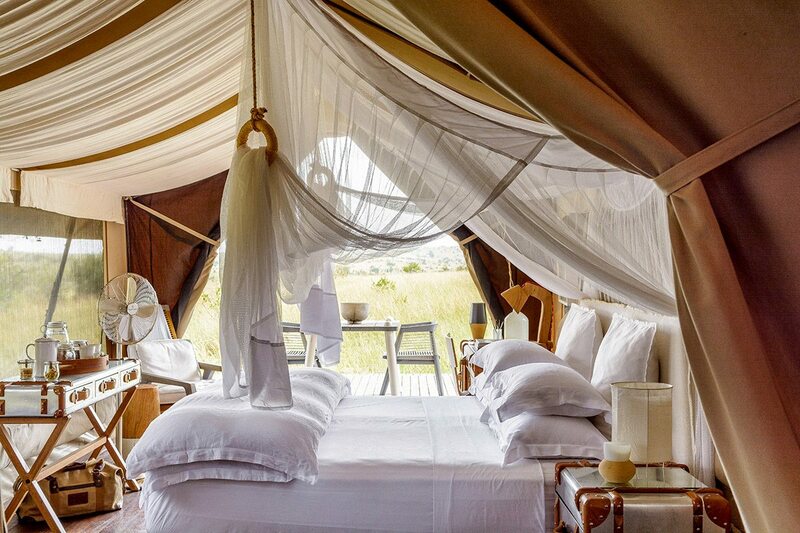 The stark whiteness of the Makgadgadi Pans provides the backdrop for the Arabian-style white tents of San Camp. 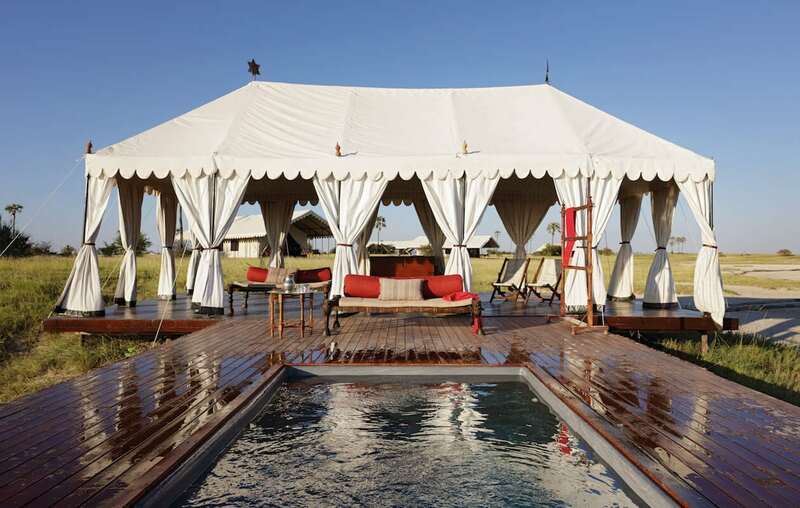 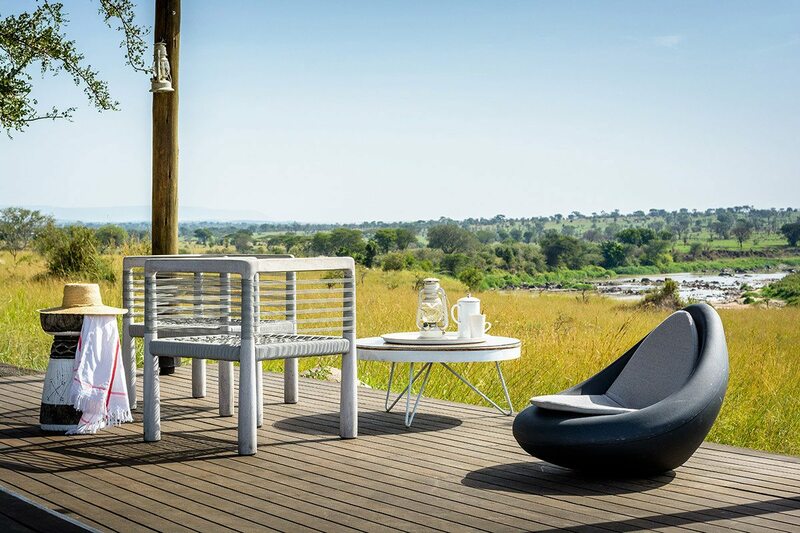 The big sky and featureless surroundings are juxtaposed by the detailed and stylish elegance of this luxury tented camp. 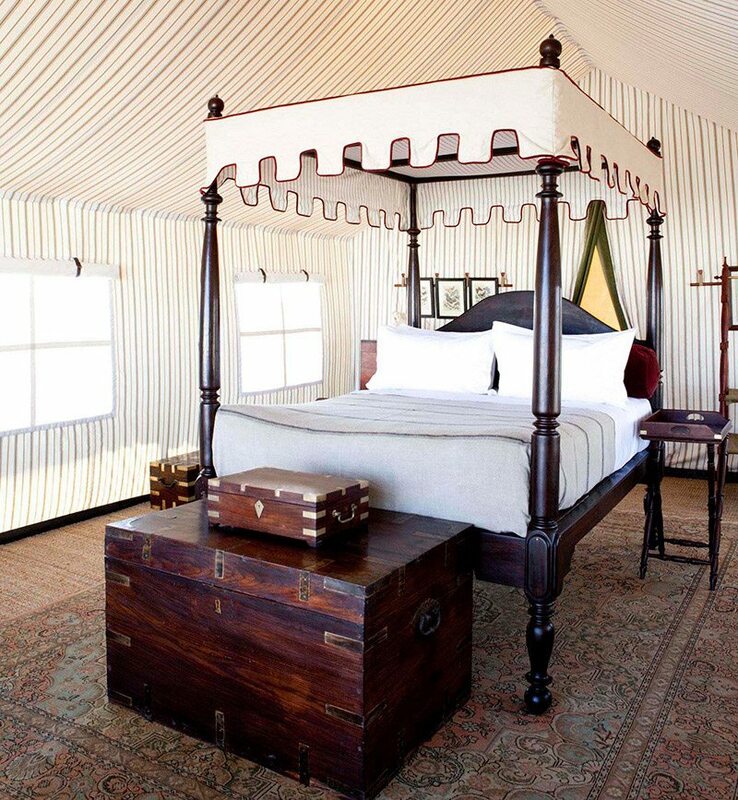 From lovingly polished antique wooden furniture to prints of birds and old maps and four-poster beds with a pin-striped pattern echoing the interior walls of the tents, this camp is impossibly romantic! 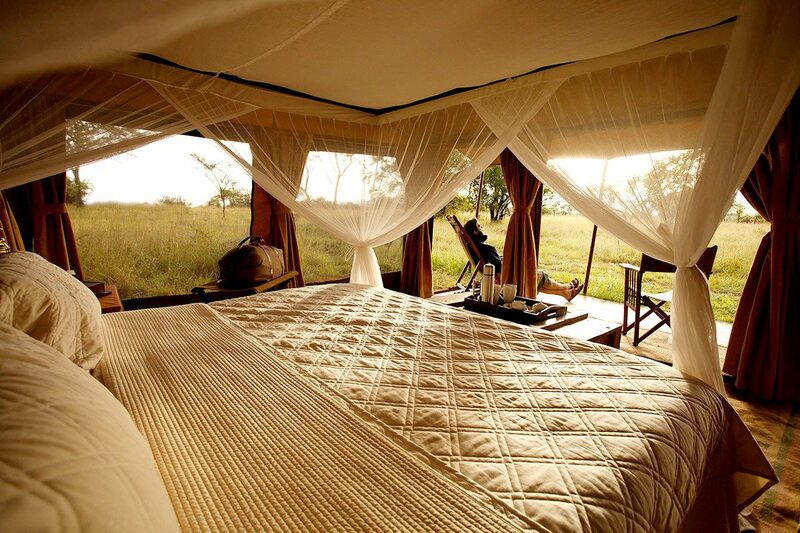 Ready for a glamping safari? 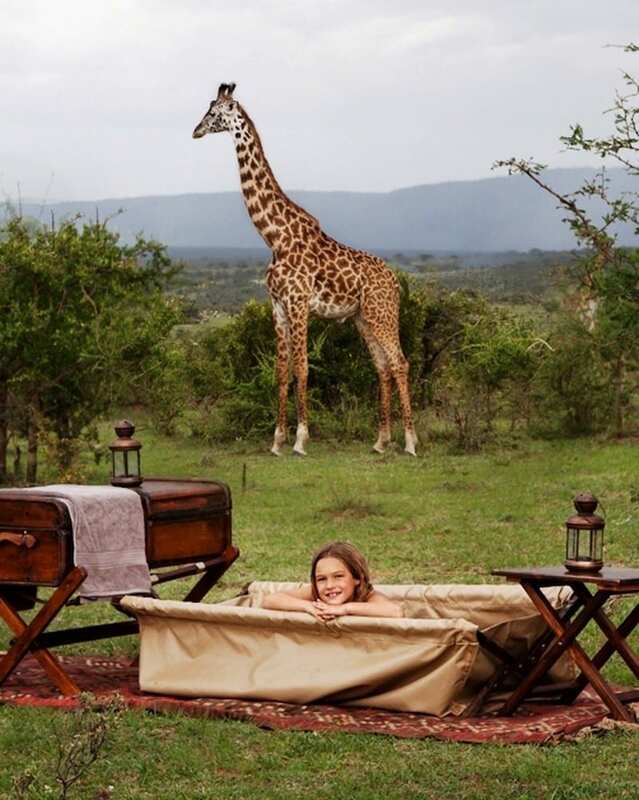 My childhood passion for wildlife led me to becoming a safari guide, where I shared my love for the African wilderness with international travellers. 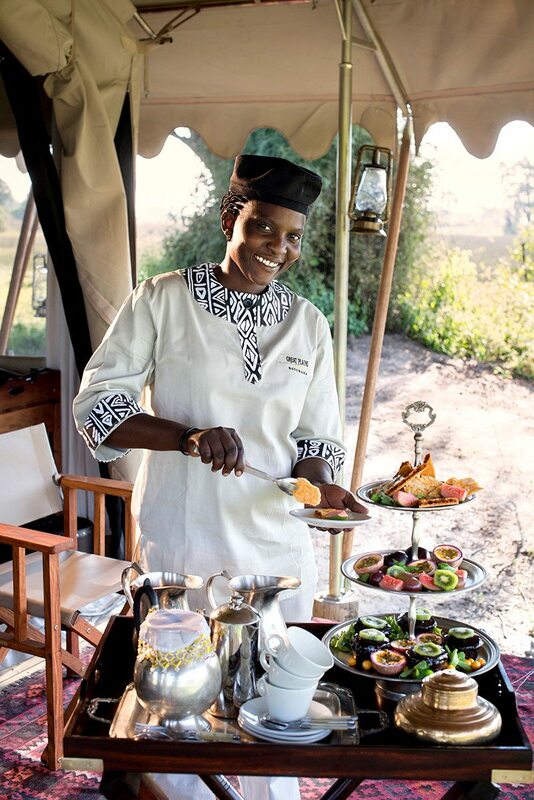 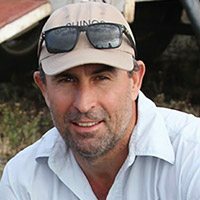 Over the following 25 years I moved around Southern and East Africa, working at – and eventually leading – some of Africa’s best safari travel companies. 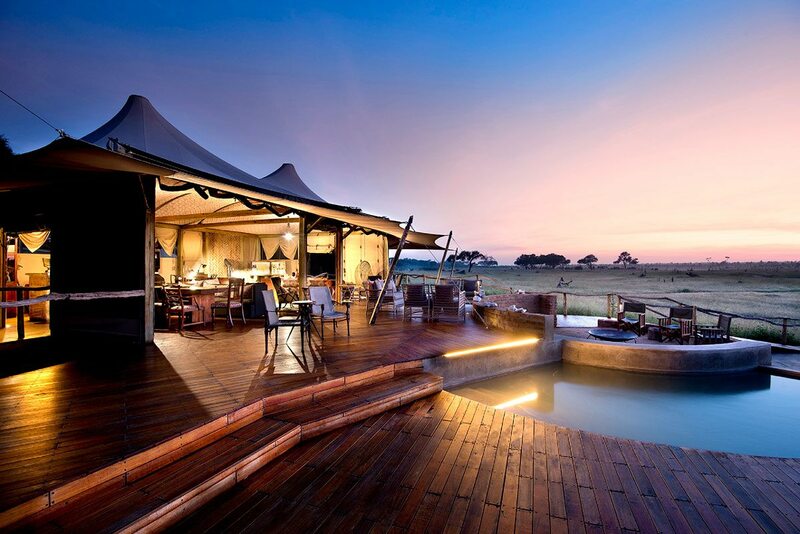 I was privileged to gather a wealth of knowledge about luxury African safari travel, which I now pour into into ensuring your best safari experience.